. Published on April 2, 2014 . Hustling is one of the things I admire most about Columbia College Chicago students. They don’t wait. They make opportunities. And it’s never too late to start a project. Students don’t limit themselves to core course to develop projects. Some director’s latch on to other projects and some come up with independent projects. I recently worked on an independent project and want to share that experience with you. First, in case you don’t know, an independent project is a self-guided course developed by the student to supplement the core courses they are taking. Or to translate, a student comes up with his or her own class. Independent projects are great because you get the opportunity to tell stories that challenge the framework of traditional courses, you get a chance to apply practical skills, and you get to support your classmates. The project I got to work on was an original web series. I can’t give information about the plot but I can relay the experience. On the project I served as Assistant Director or AD. The main responsibility of the AD is to make sure the production is moving on time and to keep things in order. It can be a daunting task because being liked is not part of that job description. The day I worked the challenge was to juggle costume and lighting changes while helping diffuse any emergencies that were to arise. Things started a little rough, because I have a tendency to be too polite. I’ll ask you to do something rather than tell you. However, once we got going I think the shoot was very successful. 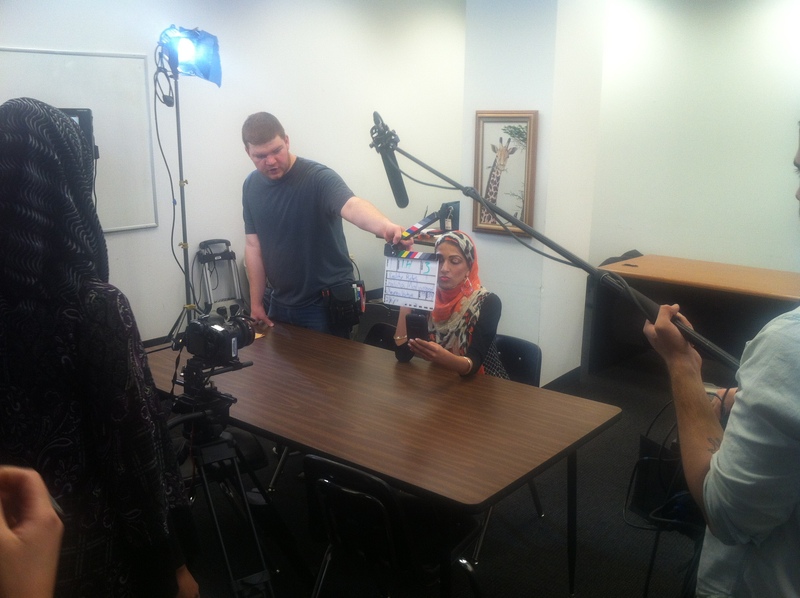 What I took away from the shoot was the fact the director hustled to get her cast and crew together to tell her story. She was going to finish her project no matter what obstacle she faced. After all isn’t it better to beg forgiveness than ask permission? Wait…now that’s a mantra! I think I like that better. It’s time to take that go-getter energy and channel it into the next project.